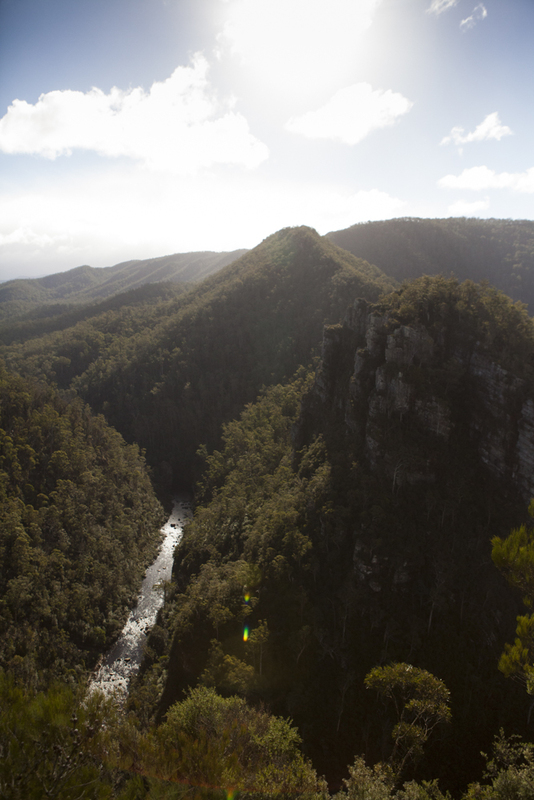 The Alum Cliffs, rising over 200m from out of the gorge above the Mersey River, are an impressive sight. 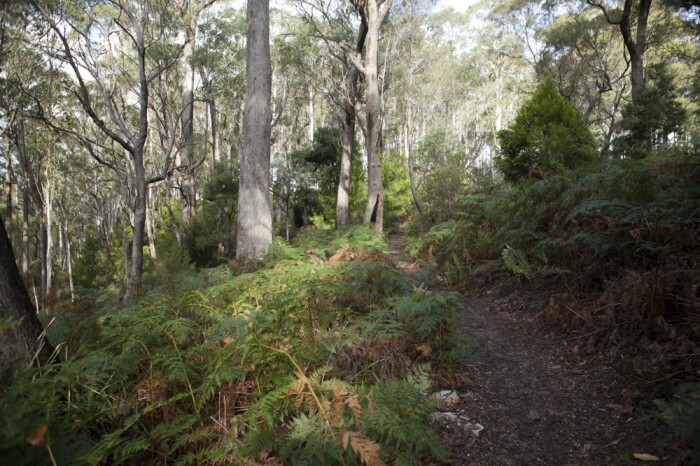 This short and easy 2km return walk gets you there with relative ease with only a slight embankment climbed at the beginning of the trail. 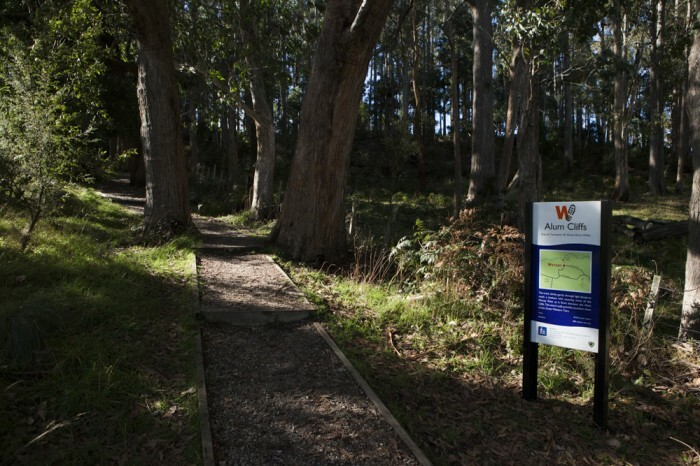 The track is well defined and passes through dry sclerophyll forest and open bushland, stopping by a commissioned timber sculpture along the way. At the end a lookout platform perched on the edge of the cliffs provides brilliant views of Alum Cliffs and the Mersey River. View Google Map Directions Leaving Launceston take the A3 exit onto National Highway 1. Take the route 1 exit towards Prospect/Devonport. Continue along National Highway 1 for 46km before exiting onto Mole Creek Main Road (B12). 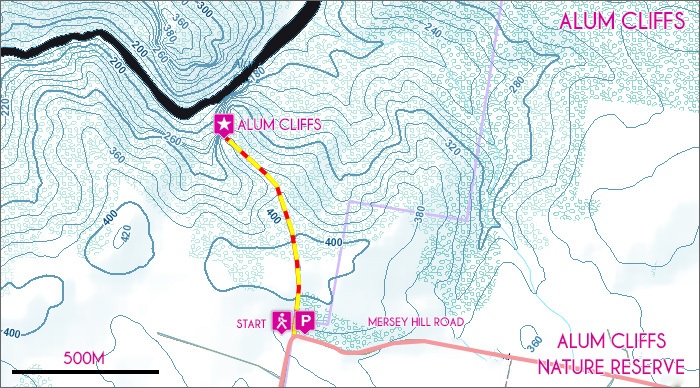 Continue on Mole Creek Main Road for 21km to Mersey Hill Road. The walk begins 3.6km away at the end of the road.